A mystery series set in a variety of beautiful English and European country gardens, ROSEMARY & THYME features two friends who, although they are partners in a gardening business, often find themselves in the middle of a crime scene. 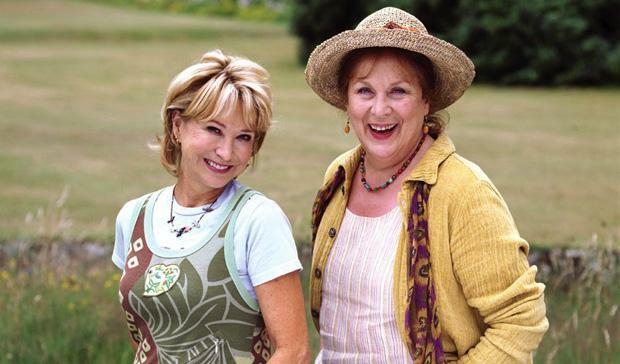 LAURA THYME (Pam Ferris) is a former policewoman whose husband has abandoned her for a younger woman, ROSEMARY BOXER (Felicity Kendal) is a plant biology lecturer whose academic career is cut short. A sudden death brings them together and they discover their shared love of the soil and a natural inquisitiveness. Forced to reassess their lives, they hope their new-found friendship will lead to future gardening commissions, not more detective work. But whilst Laura and Rosemary don’t think of themselves as sleuths – they are just as interested in a problem with a rosebush as with a dead body – mysteries have a habit of following them around. The fact that they are inconspicuous gardeners means that they overhear secrets and dig up clues which not only lead them to rectify the floral problems but also solve the crime and capture the criminal.